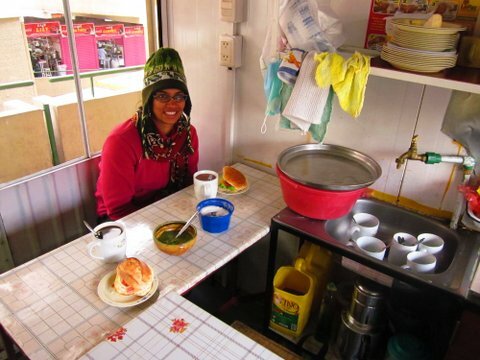 We spent a lot of time in La Paz, Bolivia. Nearly 10 days in all. We had to go early to the US embassy to get our transportation letters (having lost our green cards) and our flight back home wasn’t departing until 10 days later. We did take a side trip to Copacabana and Isla Del Sol, but we still had a lot of time to spare. 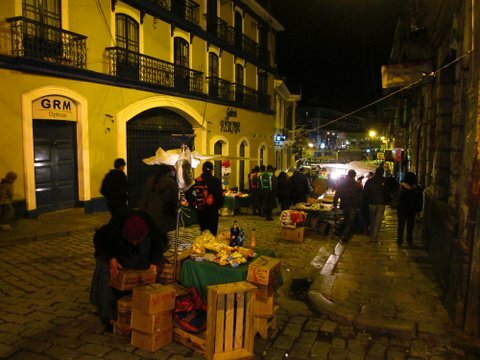 La Paz is incredibly hilly, cold, high, bustling with life and activity and a great place to walk around. We did take a side trip to Copacabana and Isla Del Sol, but we still had a lot of time to spare. This was the last stop on our backpacking journey, so we were taking it easy and not doing anything hectic. Also, I was getting a bit stressed out that the trip was ending. I wasn’t sure what I had to look forward to – in terms of my career, in terms of living in India etc. – We walked a lot. A LOT!! We walked tens of blocks every day and it was amazing. 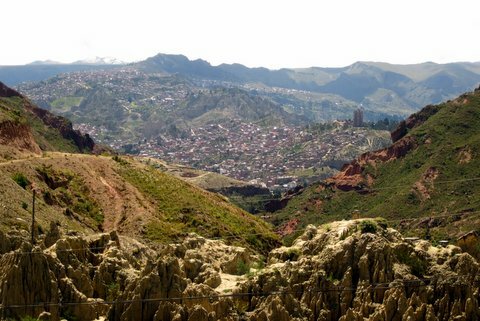 La Paz is extremely hilly and this is a superb workout. – Spend time at Plaza Murillo. 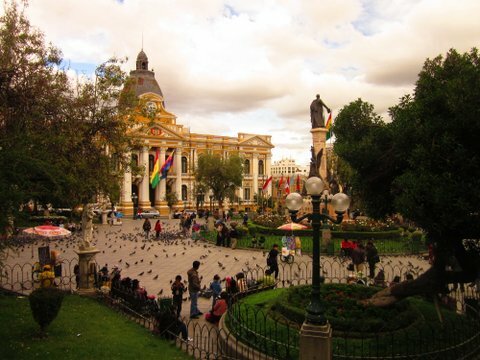 Plaza Murillo is the central plaza and one my favorite ways to spend time in any new Latin American city. People actually come here in droves in the evening and relax after the day’s work is done. I can never imagine this in Silicon Valley, where we’d still be at the office or heading home to watch Netflix or browse the web. 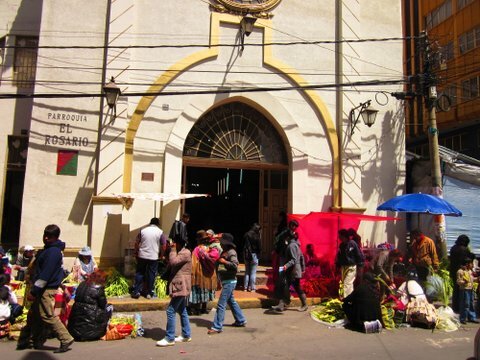 – From Plaza Murillo, walk to Mercado Lanza. 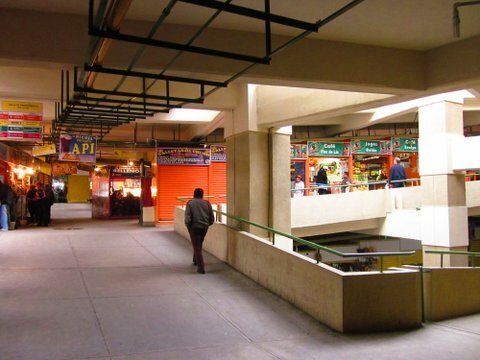 Explore the labyrinth like multi-level shopping and living center. The shops are categorized by food, breakfast, meals, artisanal stuff, beauty products and everything under the sun. – In the breakfast stalls, get Api every morning. Get the purple one, not the yellow one. 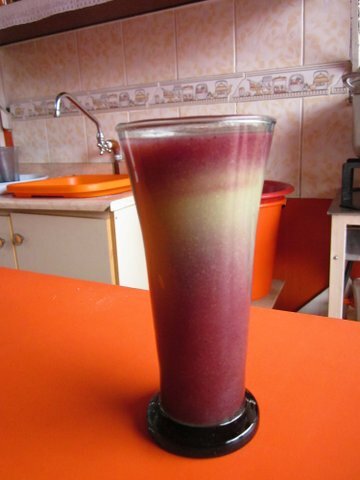 Its a porridge made out of purple maize and is highly addictive. – Palta sandwiches. 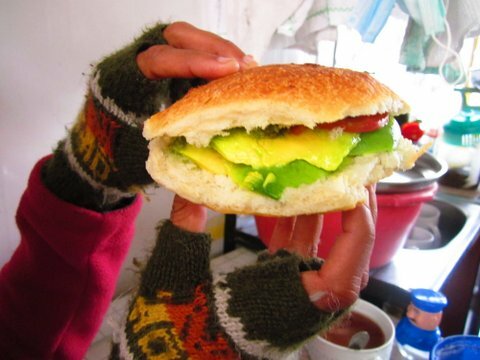 I am a huge fan of palta sandwiches, ask any of the breakfast booths to make this for you. 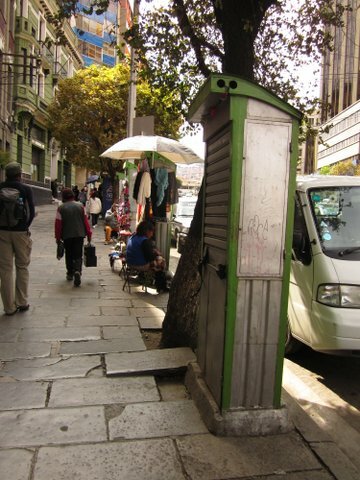 – Walk up from Mercado Lanza on Calle Sagarnaga. Plenty of great souvenir shopping on this road. Check out all the side streets. We wandered a ways once and I happened to look up, only to spot a vegetarian restaurant out of the blue. – Get a haircut! I got a great haircut for 45 Bs which included the wash, set and cut. Swami’s was much cheaper, but I went to a salon in the mall. – We explored all the veg restaurants. We’d walk many blocks to each of them and just enjoy the process. – Valle del luna. Nice day trip from the plaza. A nice hike there too. – Check out Cholita wrestling. 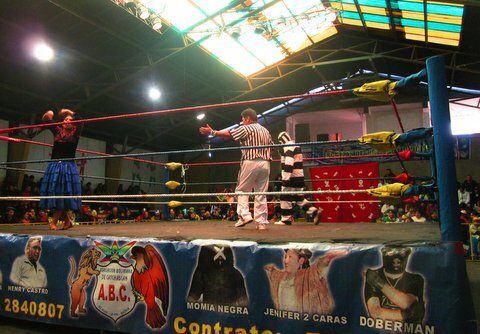 Hilarious Bolivian wrestling, where mean-looking women come to fight turned out in perfect Bolivian traditional wear, skirt and all. It is not advisable to go alone as the areas safety looked questionable, but with a tour organized by your hotel.